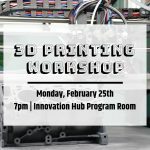 Join WISE and Codeducation on Monday, Feb. 25th for a 3D printing workshop in the Innovation Hub! A member of the iHub staff will be giving a presentation about the basics, followed by a quick demo in the lab. 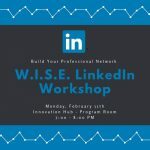 Join WISE for a LinkedIn workshop on February 11 to learn how to build and engage with your professional network! 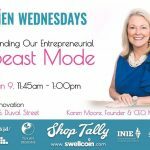 This workshop will be our very on WISE president, Bridget Kabacinski. 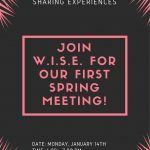 Bring your own laptop and let’s get networking! 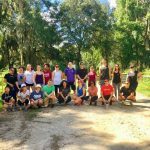 © 2019 WISE: Women in IT/ICT Sharing Experiences | FSU College of Communication & Information. All rights reserved.